MicroSurvey inCAD has always been an integrated package. 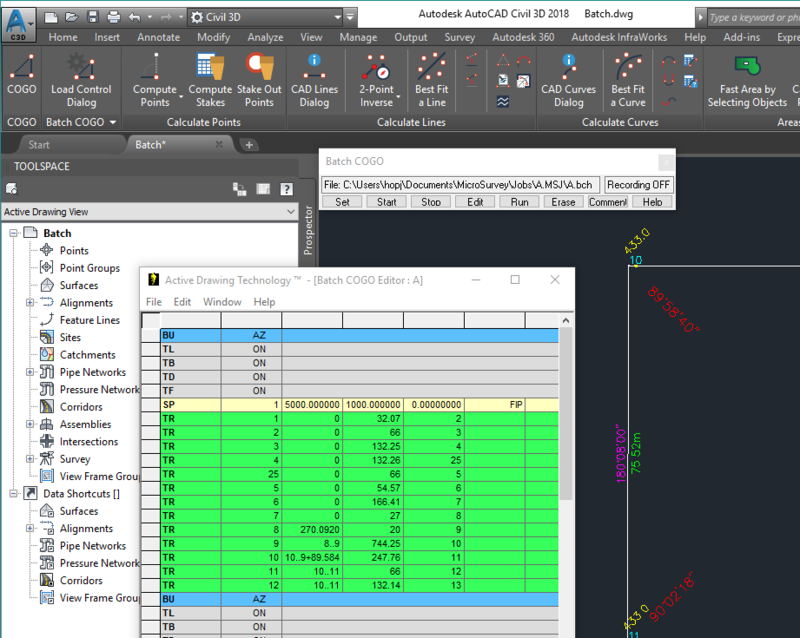 A premium license contains all the survey calculations, design, and drafting functionality that we have at MicroSurvey Software Inc. With MicroSurvey inCAD you have a full toolbox. Everything from downloading your data collector to plotting a finished drawing is included. MicroSurvey has been supplying surveyors and engineers with their tools for almost 30 years. You will find that we have thought of almost everything when you use the program on a daily basis. 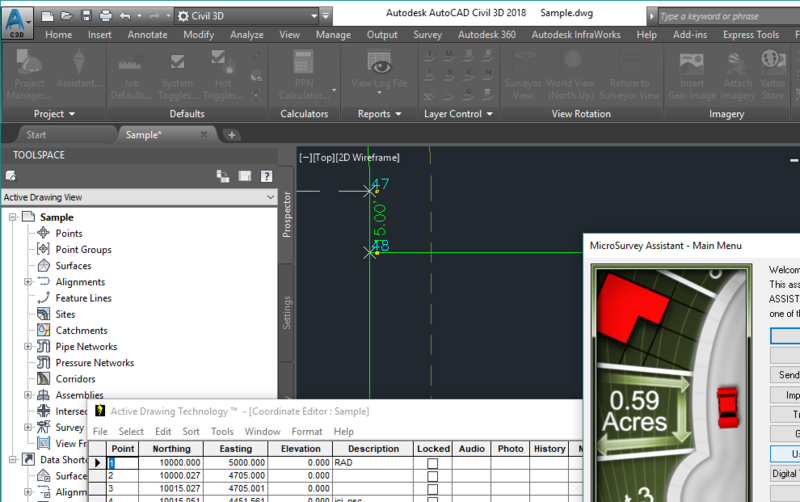 MicroSurvey inCAD fits right into your existing AutoCAD environment and provides you with tools that surveyors understand. We have been working in "survey think" since the beginning. Record all of your COGO entries with Batch and replay as desired. 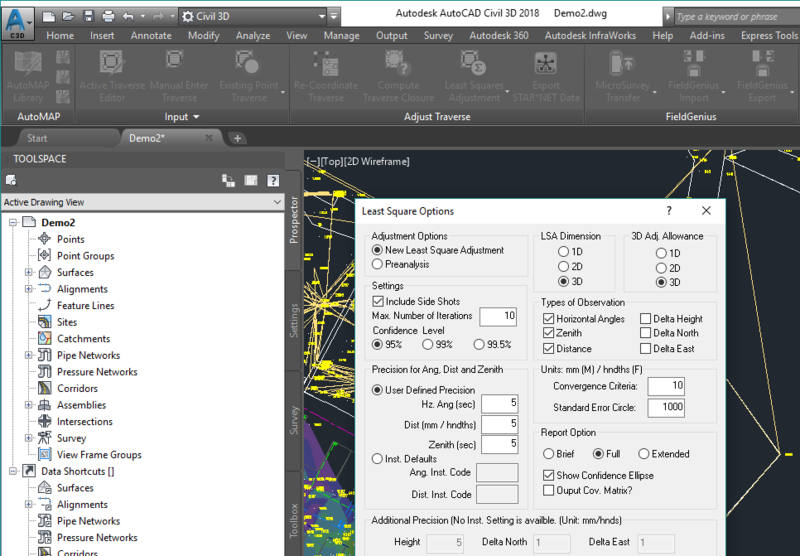 MicroSurvey inCAD includes a powerful set of COGO functions. Our new Batch COGO capability is unmatched. 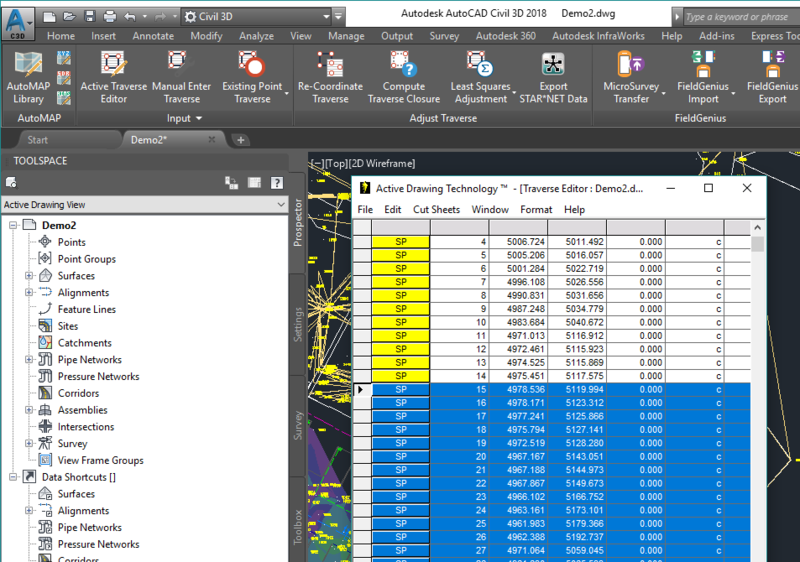 Build as part of the Active Drawing Technology, it allows you to build complex COGO calculations in a spreadsheet and re-run them as necessary. inCAD also includes command line COGO that you can use at any time by just typing "COGO" at the prompt. You immediately enter a familiar style of entry that prompts for point numbers, bearings, distances, and solve points. Intersections are computed by just leaving unknowns blank, and the program automatically determines what type of intersection you are trying to compute. Bearings, Distances, Point numbers can all be picked off the screen by selecting point labels or lines. COGO commands are also available in a more graphical format. 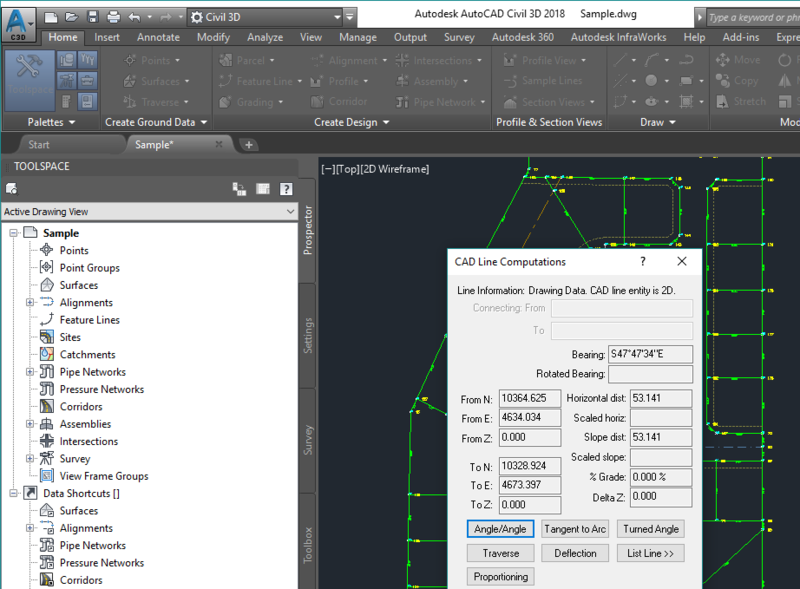 If you select a line or arc on the screen with no command running, you can immediately calculate new points. 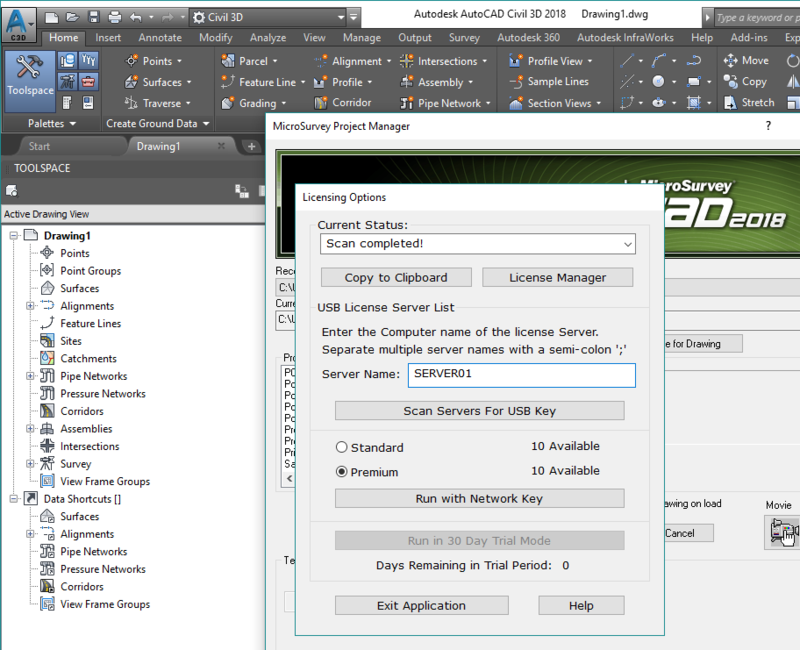 MicroSurvey inCAD also allows you to compute without storing point numbers. The lines and arcs that you create can be instantly coordinated and numbered at a later time. 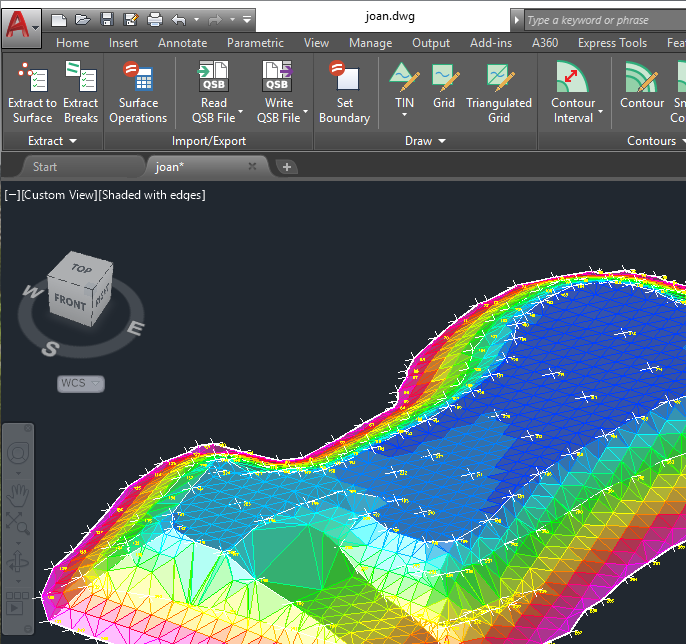 Visualization in MicroSurvey inCAD is unmatched with fast 3D rendered views of TINS, Grids, and Triangulated Grids (a more accurate method of representing a surface). 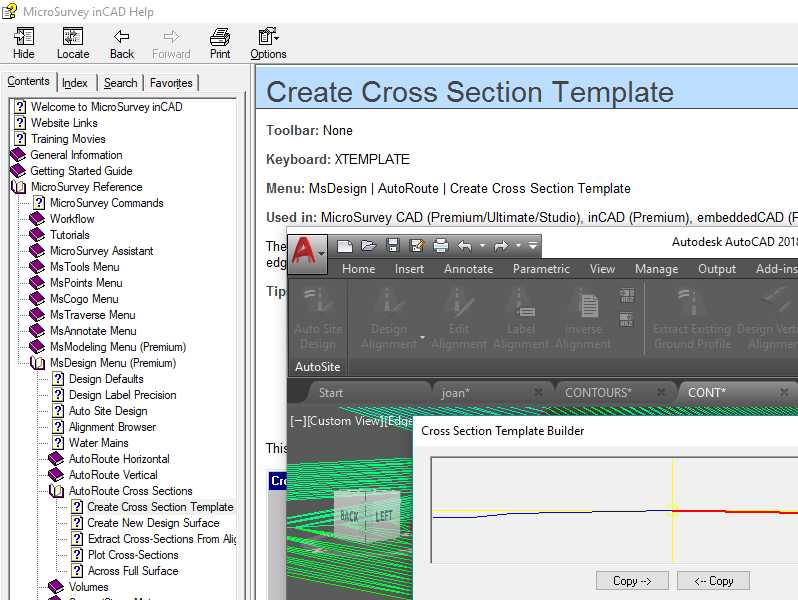 Cross sections or Profiles are just a click away. Describing all the functionality in this area is difficult, because there is so much! 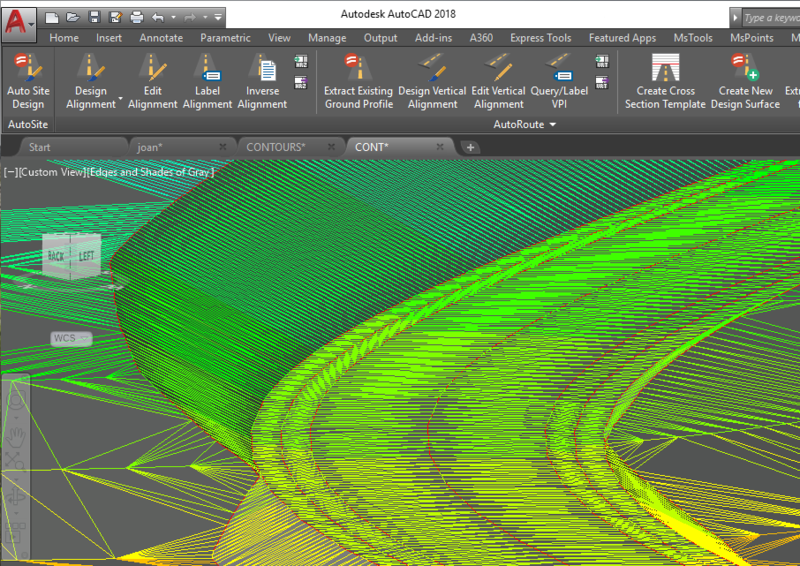 Our Road Design Wizard makes creating a 3D road along a horizontal and vertical alignment a snap. Creating templates is made easy with our graphical template editor. Multiple passes can be made down a road with various templates to create a multi-level surface.